Washington State doesn’t have as many state parks on the coast as Oregon and California, but we recently found one in a scenic, remote spot. Grayland Beach State Park is located off Highway 105 along the Pacific Coast and is only a ten-minute drive from Westport and a half-hour from Aberdeen. 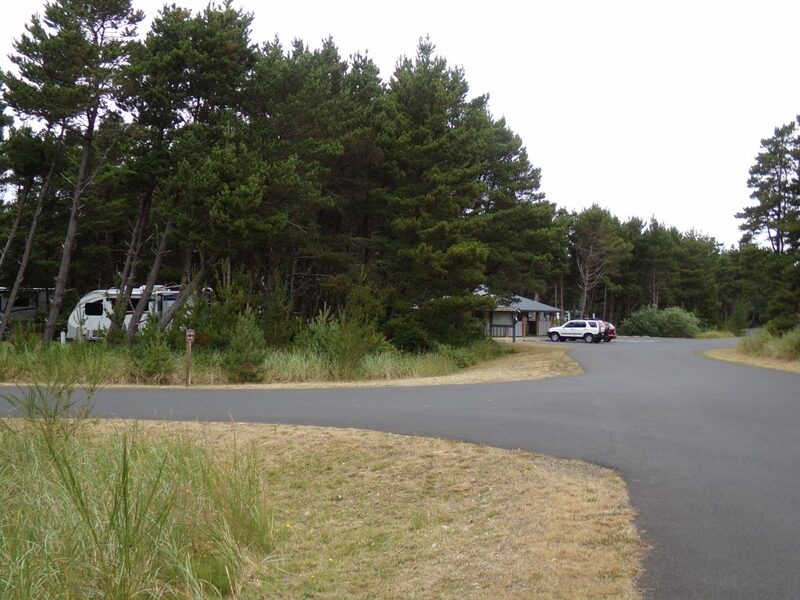 Grayland Beach SP has a wide open sandy beach that you can drive on and a wooded campground that is very RV-friendly. The roads and sites are smoothly paved and large enough for rigs up to 60 feet long. 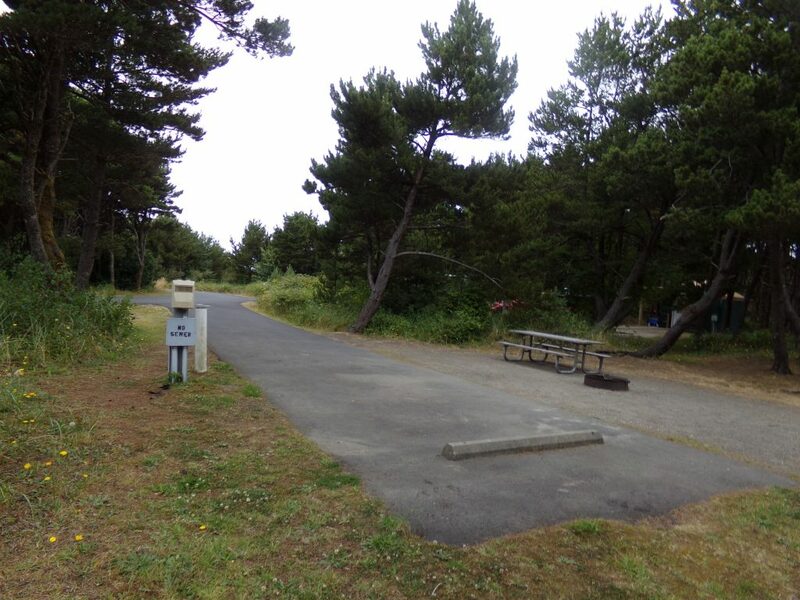 The campground has 55 full hookup sites and 38 sites with partial hookups, including pull-thrus and back-ins, along several loops. 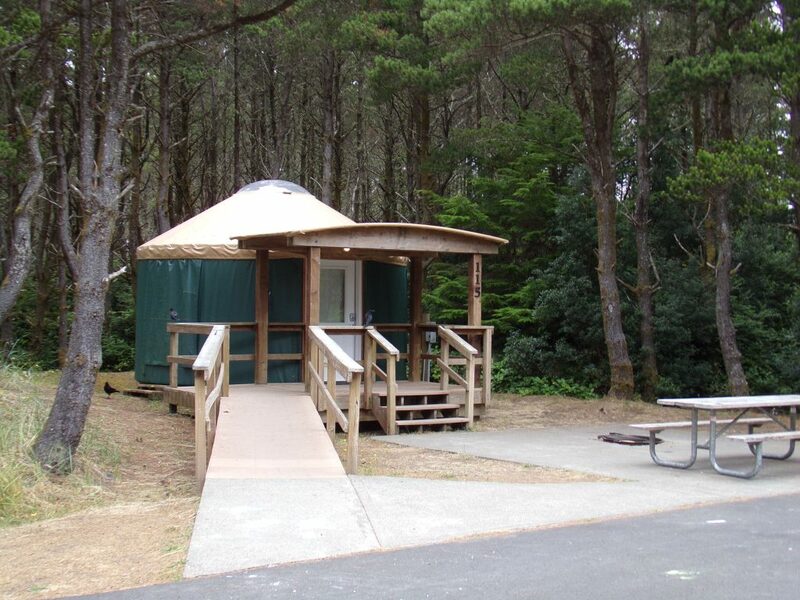 They also have 16 yurt rentals, four primitive sites in the woods, four restrooms, and eight coin-operated showers. There is also a trailer dump station near the campground exit and a camp store in the main office that sells firewood, propane, ice, beverages, and snacks like ice cream. 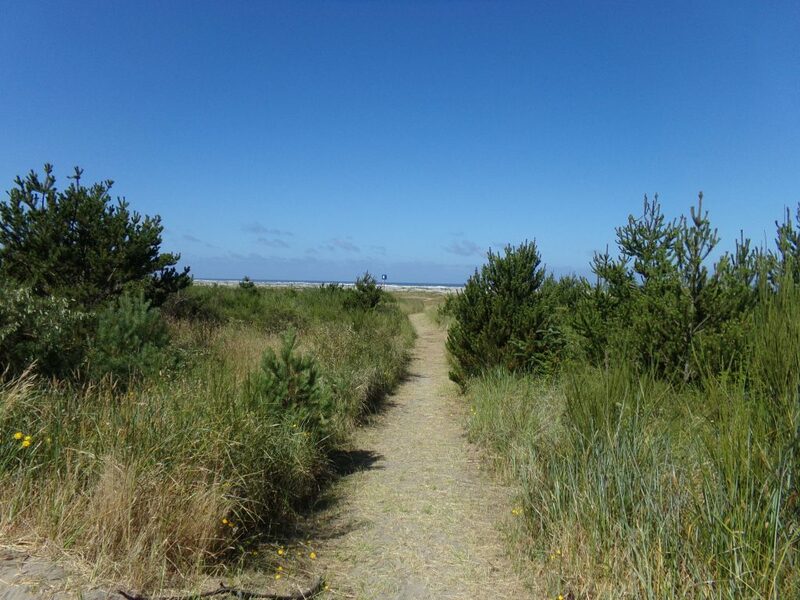 Five trailheads around the campground will take you out to the beach. The wide open beach has wind-sculpted dunes and soft sand that you can dig your toes into. 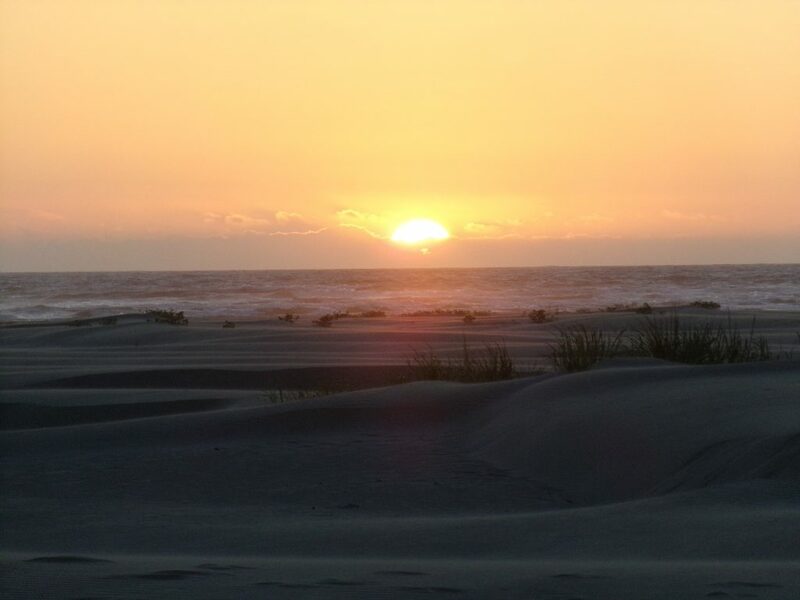 Head out past the dunes to the shore and watch the seagulls flying overhead and the sun setting over the horizon. During the day this beach is ideal for flying kites, walking your dog, or building sandcastles. The state park is open year-round, but the beach can get rainy and cold by winter. You can learn more about the current Washington State Park camping fees here. The state park is a great home base while you visit all of the attractions nearby in Westport. During the day, drive north to see Twin Harbors State Park and Westport Light State Park. 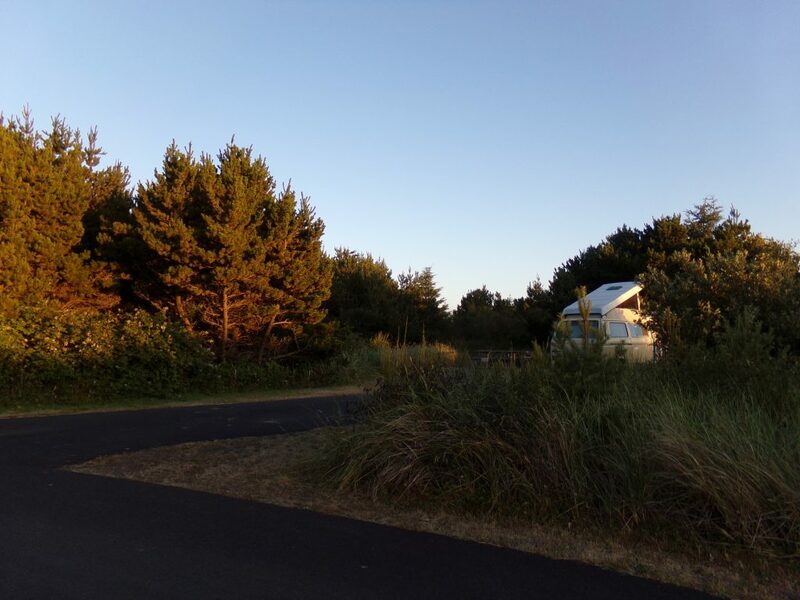 You can learn more about camping at Grayland Beach on Campground Reviews.